How could Jameson, the world's best-selling Irish Whiskey, make the most of St Patrick's Day in Worldwide Duty Free and drive consumer engagement around their #BeOriginal Campaign? WWDF as a channel gives us time, passengers will stop and engage if we have an interesting story to tell. So, we encouraged passengers to express their own individuality in the lead up the St. Patrick's Day in order to amplify Jameson's credentials as a true Dublin original. We decided to create a unique experience in which to celebrate event, the excitement of travel and the brand's authentic Irish attitude......and with not a shamrock hat in site. 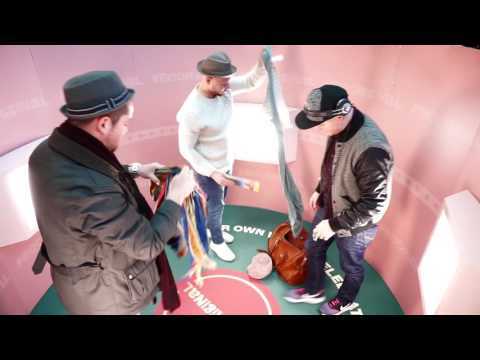 We invited Gatwick travellers to #BeOriginal in our bespoke 360 photo booth for a chance to win an authentic St Patrick's Day experience in Dublin.Custom software was created to enable to photo booth to live link to all the display screens in the airport whenever a photo was taken. The event was filmed an cut into a social media film which was shared across multiple social media platforms.